Having a slimmer, sleeker body isn’t just about looks. There’s a big psychological boost that also comes from knowing you look your absolute best. Eating a healthy diet and getting plenty of exercise play important roles in shedding excess fat and pounds, but for many people, they’re just not enough to eliminate stubborn areas of jiggly fat and dimpled cellulite in the belly, waist, thighs and other isolated areas. 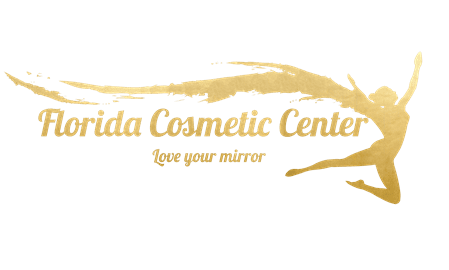 At Florida Cosmetic Center, Dr. Pasha uses an innovative technique called ultrasonic cavitation to get rid of fat and cellulite painlessly and without surgery, lasers or incisions. Best of all, treatments can typically be performed in under an hour so you can come in for a session during your lunch break or any other time that suits your busy schedule. Ultrasonic cavitation uses high-frequency sound waves, much higher than your ear can hear. The sound waves are delivered to the deeper layers of fatty tissue beneath the surface of your skin. As the waves enter the treatment “zone,” they create tiny microbubbles around the fat cells. The bubbles expand and burst, “popping” the fat cell walls and releasing the fatty material trapped inside. Once the cells walls are destroyed, the resulting fatty debris is carried off and eliminated by your body’s lymphatic system over a period of several weeks, leaving sleeker contours behind. It’s important to note that ultrasonic cavitation isn’t intended to remove large amounts of fat nor is it intended for weight loss. Instead, the treatments help slim down specific areas so you lose inches, your clothes fit better and you feel more confident. It’s a perfect complement to a healthy lifestyle, and many people find having the treatments and seeing results so quickly is just the motivation they need to continue their healthy habits. Unlike some other noninvasive fat reduction procedures, ultrasonic cavitation is completely painless and there’s no need for anesthetic. There’s also no downtime, which means you can go back to your regular routine right after treatment. Because the treatment “jump-starts” your body’s lymph system, you might feel a bit tired afterward, so if you can, scheduling some time to rest is a good idea. It’s also very important to drink plenty of water for a couple days after your treatment (and right before your treatment as well) to help your body flush out the fat more quickly and effectively. You might have a very mild fever for a little while afterward as your liver goes into high gear to process the fat and eliminate it from your body. Immediately afterward, your skin in the treatment area might be a bit flushed, but the pinkish tone will disappear soon. Your skin also might feel dry for a bit, but slathering on a good moisturizer will keep it soft and supple. Being active after your treatment helps your lymph system work more efficiently. Once your treatment is complete, you should aim for about a half hour of moderate cardio activity for at least a few days afterward to keep your lymph fluid flowing. To get the most from your procedure, you should also eat a low-calorie, low-carb, low-fat diet for a week or more after your treatment to force your body to metabolize the released fat more quickly. It can take the body several weeks to eliminate all the fatty debris, but once the cells are destroyed by the ultrasonic energy, they're gone for good. Most people benefit from a series of treatments spaced out over several weeks, which allows the body time to get rid of the fatty debris so you can assess your results. Ultrasonic cavitation is a safe, effective way to slim down so you feel more confident, and if you start now, you can see your results long before bathing-suit season arrives. To learn more about ultrasonic cavitation or to schedule a consultation with Dr. Pasha, book an appointment online today.